Bay of Bengal, known as the largest bay of the world forming a triangular shape touching the borders of India, Burma, Bangladesh and Sri Lanka. I happened to meet it out yesterday after a long time in a casual move without any action plan for almost 30 minutes. When I was a kid in school my mom and dad use to take me to Beach located in Pondicherry, it was a divine at that time. After spending few hours, we use to reach back home and my mom will scold me for carrying sands into trousers fleet. During the tenure of my matriculation examinations, I was not allowed or literally taken to the beach showing the justification of examinations and securing the marks. The gap between Kokula Krishna Hari K and Bay of Bengal started there. It was a big pain of not visiting it although my residence is just 2kms away from the Bay of Bengal (BoB). Time went on, after completion of my school days, I planned to visit BoB again my new venture and business works stopped me. After 2011 stabilization of the business stature, I planned to visit; now when I step-in into the beach road at Pondicherry, tons of Hi’s and Hello’s from all the known and unknown contacts. It literally takes out of my time like to cover 500 meters it will be around 3 to 4 hours. I started ignoring it deliberately. When I landed-up at Chennai, I was advised to visit Marina, the second largest beach. My thoughts were striking on my mom and dad of ignoring them and visiting the beach. Hesitated to visit Marina also. She lost the opportunity of meeting me. BoB on crisp status, has met me in numerous occasions enroute to Pondicherry from Chennai or the vice-versa. Certain complicated decisions of my life and my organization were made while I was standing near Muttukadu, Auroville and other locations. It is not a proper beach ofcourse and my visits were also not on proper time; usually 2 AM or 3 AM will be the time of visit. I do see people in those areas who are drunk totally and flat. With a small quantum of pity on them and their family either parents or spouse, used to ignore them and move on. Sometime during Operation Alma use to go to certain spots of the BoB with a gang of people. But all these times, it was either Professional or Purposeful or with a Sub Code as X or Y or Z. It didn’t give me a feel as like my school days like without a purpose going to beach and spending time. Yesterday, Saturday 28th March, 2015 I was little bit crazy. Wanted to spend my time lavishly out of all Governmental Work and others as soon as I was returning from Malaysia. Asked my bro Vignesh Ramakkrishnon to finalize the agenda. I wasn’t sure if he had some plan or schedule, around some 9 PM started going around Chennai and the craziness sprawled there of visiting BoB. Initially thought of visiting BoB at Marina junction, but in consideration of certain factors, we moved the decision to Beasant Nagar stuff. Considerably, it was my first time visit to Beasant Nagar beach. Some unmonitored food with Burmese taste and potato scroll sorted properly with spiciness and cheese were also tasted by me. Probably, I may surely go back to eat those potato cheeks again. I loved it and thought of moving inside sand-steeps, suddenly stroke the scoldings of my mom while I was a kid for getting sea-sand into my trousers. Stopped few yards away from the touch point was standing facing the sea and was chatting without a gap. And this was the time which I was expecting after my 9th grade. More than 30 minutes, without any purpose or solemn cause standing and admiring the beauty of the shore. Almost after 30 minutes or even around that few cops instructed to leave the locality on consideration of safety guidelines, thought of arguing initially while entering into the shore but somehow I was pushed not to fight or argue hindering them to perform their duty. I had been many times at Pattaya Beach (Thailand), Hyeopjae Beach (Jeju Island), Hammamet Beach (Tunisia) and many such, but it was full of professional life and calculative moves. Almost accompanied with guards or Professors or Senior most people who care for me. Even I wasn’t allowed to remove my shoes during those visits. I remember my Professor advising me not to remove the shoes as the seawater will bring in more unwanted stuffs and it may affect your health while visiting Barafundle Bay beach at Britain. Was literally happy and am unsure if could get such leisure times to make such visits but will always attempt such. Almost finalizing a wish-list which needs to be covered; which actually I have missed them. And this beach visit was one among them, this item will not be stroken down from the list but will follow it. The co-pilot responsible for the Germanwings plane crash was today named as Andreas Guenter Lubitz. The 28-year-old was from Montabaur, a town in the district seat of the Westerwaldkreis in Rhineland-Palatinate, Germany, according to a local flight club. Acquaintances said he was in his late 20s and showed no signs of depression when they saw him last autumn. 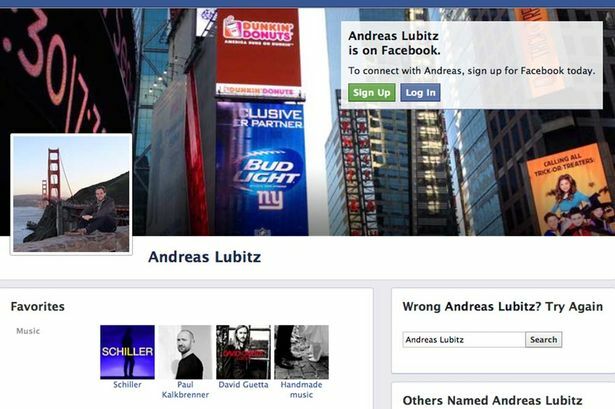 His Facebook page lists his interests, including German electronica band Schiller, French superstar DJ David Guetta, his local Burger King, 10-pin bowling, aviation humor and a technical website about the A320 model of aircraft he flew into a mountainside. Today, at the house believed to be his parents’, the curtains were drawn and four police cars were parked outside. 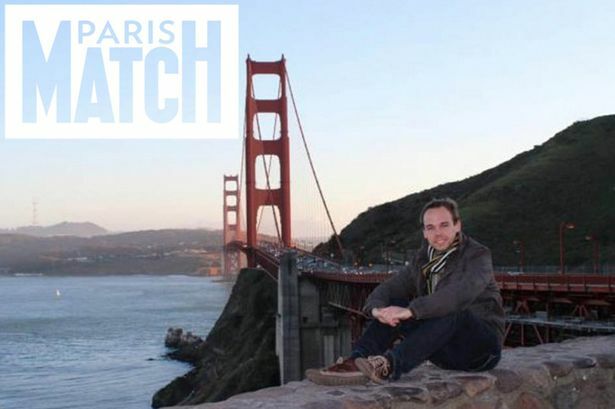 “He was happy he had the job with Germanwings and he was doing well,” said a member of a glider club, Peter Ruecker, who watched him learn to fly. Ruecker said Lubitz had a girlfriend but did not have many more details about his life. Lubitz had obtained his glider pilot’s license as a teenager and was accepted as a Lufthansa pilot trainee after finishing a tough German college preparatory school, Mr Ruecker said. He described Lubitz as a “rather quiet” but friendly young man. Marseille prosecutor Brice Robin said the co-pilot “never said a word” in the 10 minutes before the crash, which killed 150 people. He said he never answered a question or opened the door before the plane hit the ground and the plane’s descent was “voluntary”. The Federal Aviation Administration praised Lubitz’s skills and included him in the prestigious FAA Airmen Certification Database. The database contains the names certified pilots who have “met or exceeded the high educational, licensing and medical standards established by the FAA”. Aviation Business Gazette announced the award in September 2013, writing: “Pilot certification standards have evolved over time in an attempt to reduce pilot errors that lead to fatal crashes. “FAA pilot certification can be the difference between a safe flight and one that ends in tragedy. The highest level of certification is the Airline Transport Pilot Certificate, which is required to fly a commercial airliner. To obtain it, pilots must possess a commercial pilot license, have more than 1500 hours of experience in aircraft and be at least 21. They are also required to pass a physical examination. Lubitz’s medical was done in 2010 and was due to run out in June 2015. He had undertaken 630 hours of flight time in an A320, according to Germany’s Bild. Mr Brice said earlier that co-pilot Lubitz directed the plane into the ground but the passengers only realised what was happening “in the last moments”. “He took this action, for reasons we still don’t know why,” he said. “We can only deduce he destroyed the plane. He voluntarily allowed the plane to lose altitude. The co-pilot blamed for deliberately crashing a passenger jet with 150 people on board into the Alps used post-9/11 safety mechanisms to carry out his plan. Andreas Guenter Lubitz, 28, waited for his captain, Patrick Sondenheimer to leave the flight deck and go to the toilet before commanding the Airbus A-320 to descend. Once out of the cockpit, the door locked automatically. Ironically, this auto-lock feature, which led to Lubitz having sole control of the plane, was introduced as a way of improving flight safety in the wake of 9/11. The Airbus A320 is fitted with a locking mechanism to prevent unauthorised access to the flight deck while the aircraft is in flight. The door was also specially strengthened, to prevent someone from being able to barge their way through. 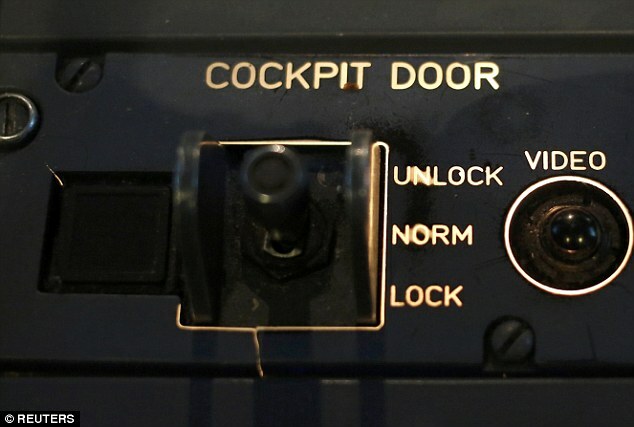 In normal flight, the door to the flight is closed and locked. Cabin crew can use a code and gain access to the flight deck. Entry is controlled by the flight crew, in case of a possible hijack attempt. 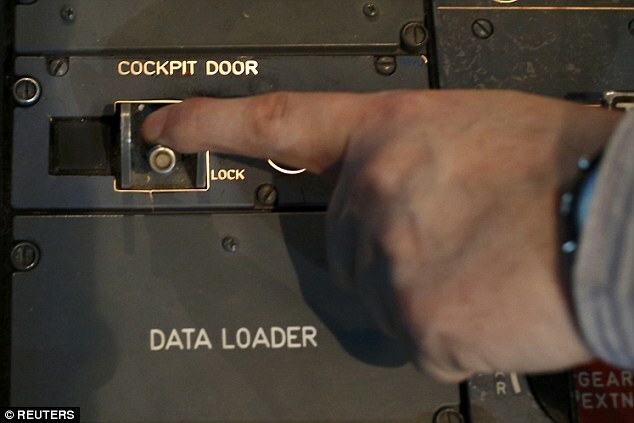 The Cockpit Door Locking System (CDLS) according to the flight manual ‘provides a means of electrically locking and unlocking the cockpit door’. Pilots can restrict access to the flight deck although cabin crew can gain entry in an emergency. However, this emergency access can be over-ridden by the pilot for between five to 20 minutes. 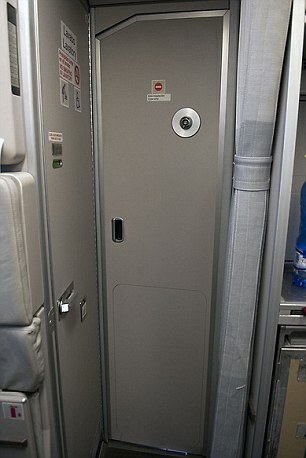 The limited time to keep the door closed is itself a safety feature, in case the flight crew become incapacitated. According to the flight manual there are ‘routine’ and ’emergency’ access requests. School friends said that Lubitz paused his pilot’s training in 2008 after suffering from ‘burnout’ and depression.